The Trust wishes to acknowledge the assistance received from funding agencies and the wider community for the time, goods and money that allowed the creation of the important predator-proof fence, successful translocations and purchasing of equipment. Thank you also to Friends Of Hutton’s Shearwater, raffle prize donors and ticket purchasers, individual donors, merchandise buyers, Kaikoura businesses and our countless volunteers. The Tukete Charitable Trust (formally The Kaikoura Charitable Trust) is the owner of the site where the artificial Kaikoura Peninsula/Te Rae O Atiu colony has been established. 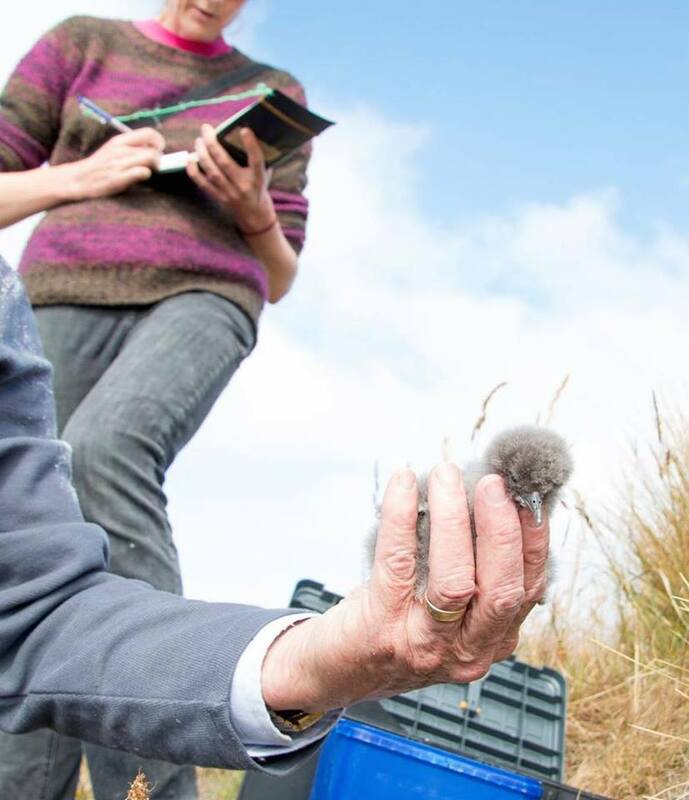 The Hutton’s Shearwater Charitable Trust is extremely grateful for making the site available to ensure the survival of the species. The Hutton’s trust acknowledges the Rangatiratanga derived from those who maintain Turangawaewae, and whose ancestors have had their feet in this land for many generations. We acknowledge the shared kaitiakitanga for this taonga species that breed only here in Kaikoura and for all peoples and species and the wider environment that all people share. We thank the Tukete trust most profoundly for this most valued contribution. Volunteers – locals and travellers from all over the world. Local food providers – Kaikoura Bakery, Hines Takeaways, Reserve Hut Café, Whale Watch Kaikoura, New World, and local families providing baking. Encounter Foundation – funding provider. The Ron & Edna Greenwood Environmental Trust – funding provider. Volunteers for conducting the native planting and path work. Pacific Development and Conservation Trust – purchase of GPS trackers. The Sargood Bequest – purchase of burrowscope and generator/inverter. OSNZ “Birds NZ Research Fund” from the Society for the 2013/14 season. OSNZ “Birds NZ Research Fund” from the Society for the 2014/15 season. 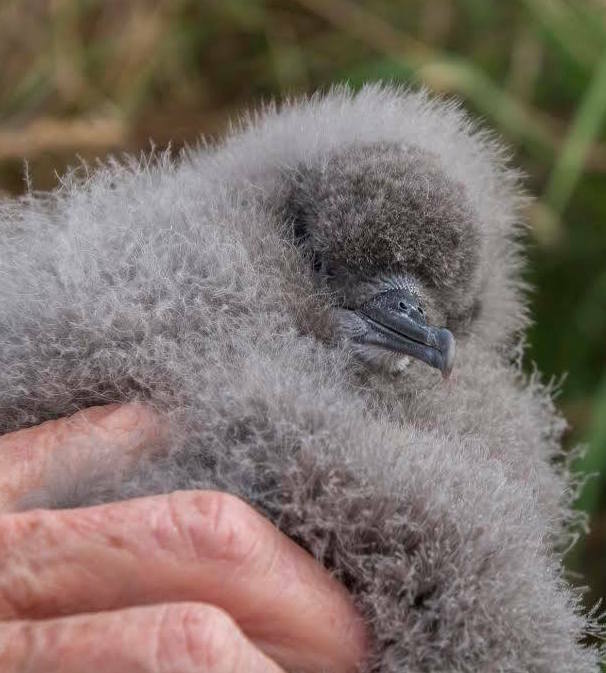 Collection, processing and release of hundreds of crash landed Hutton’s shearwater fledglings disoriented by Kaikoura township lights every season. This is enabled every year by: Albatross Encounter, the Department of Conservation, Trustees, and countless volunteers. The Department of Conservation Community Fund has enabled the three year funding of a part-time Project Coordinator, for which the Trust is extremely grateful. Sustainable Travel Network – bookings. Geoff Harrow, who not only founded the Trust but has been a significant benefactor. Thanks, Geoff!